With the new year rapidly approaching, it’s time to think about setting up your home to get ready for a new start. With Christmas over and your house full of new toys and gizmos, a whole home cleaning is just the thing to do. Here’s how to clean out your home to get ready for the new year. With so many new things coming in, you’ll have more items in your home than you’ll know what to do with. After Christmas Day, it does feel as though you’re drowning under how much stuff is in your house. Now’s the time to go through your home and get rid of anything that you just don’t need any more. A good place to start is your wardrobe or the kids’ toy boxes. Get rid of anything that hasn’t been used in the last year. You can give them to charity, or sell them if you want to make yourself a little extra cash. You’ll wash things like your bedsheets and your towels every week, but now is the time to give everything a wash. Take the throw pillow and cushion covers off your sofas and throw them in the washer. Your bed pillows can be washed at home, too. Your duvet needs cleaning, so take it to the laundrette, or wash it in your bath and leave it over a clotheshorse in there to drip dry. You’ve been using your brooms and mops day in and day out for a long time now and they’re getting a bit worn out. Now’s the time to look into updating what you have so you can clean efficiently. The same goes for any machinery you have. Your vacuum cleaner, for example, may need repairing or replacing. If you need hoover belts or new vacuum hoses, look for them in stores like Spares2You to get what you need. Now’s the time to get out the window cleaner and clean every bit of glass that’s in your home. Obviously, you’ll mainly need to clean the windows. You’ll also need to clean any mirrors, glass panels, or other glass decorations you have. It’s amazing how many smudges and fingerprints they pick up. A bottle of window cleaner and a lint free cloth will help you get everything out. Finally, you will want to throw open the windows and give the house a good airing. Yes, it’s cold, but throw on a jumper and open those windows. You’ll blow any stale air out, and let lots of fresh air in. It’ll make the house smell and feel better, and will cost you nothing at all to do. Just half an hour will do. 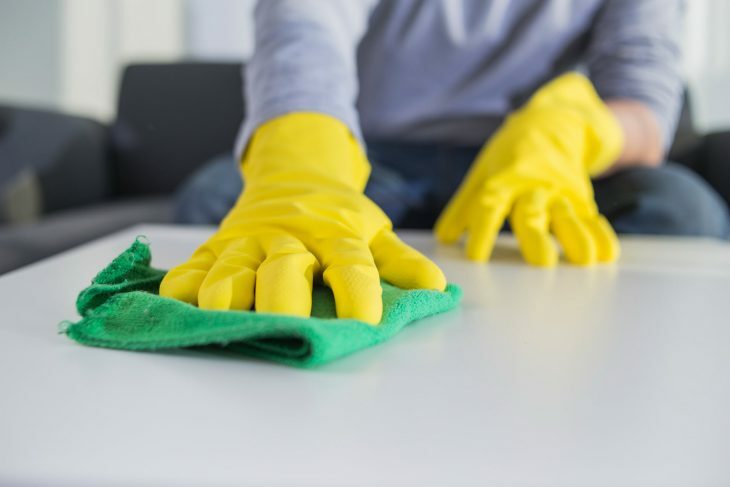 Use these tips to clean your house and be ready to let the new year in. Nothing feels better than having a clean and tidy house, ready for you to start on all your New Year’s resolutions.